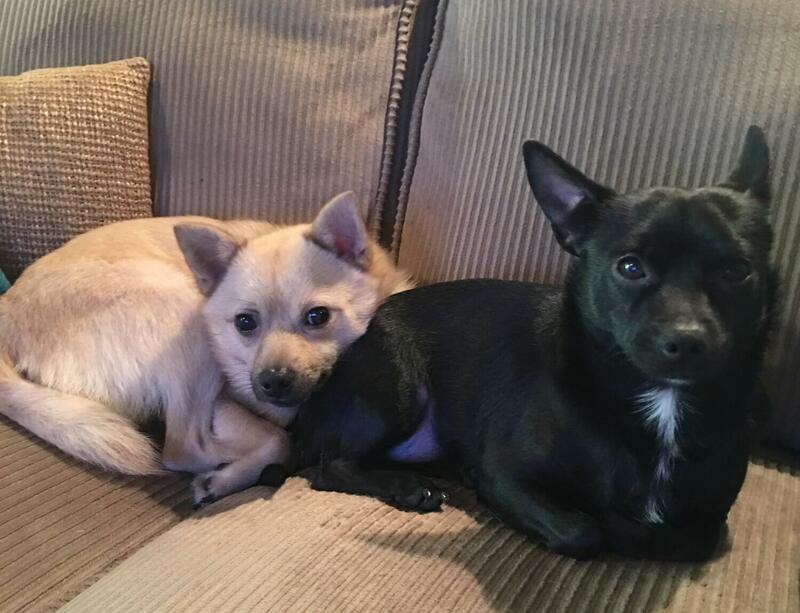 These cute boys are Dexter (black and white terrier/chihuahua mix) and Simba (blonde Pomeranian/chihuahua mix). I am looking to re-home them both together. They are the best of friends and I have had them since they were puppies, they are both 2 now. I work a lot and am not able to give them the attention they need. They will curl up and nap with you, they love to go on walks and play outside – super happy dogs! They are not aggressive, their tails are wagging constantly! Both dogs are crate trained and have a large kennel they both share. They need some minor training as far as basic commands, and a little further assistance with potty training. They are shy at first, but are great with other dogs and people, even kids. I will ask for a re-homing fee of $100 for both. The fee includes a large crate, toys, harnesses and leashes, proof of vaccines and wellness exam done 2/15/16, and flea treatment.